Mine waste from the Gold King Mine north of Silverton fills the Animas River at Bakers Bridge in this Aug. 6 file photo. The Animas River Stakeholders Group made its way downstream Tuesday, holding its first meeting in Durango in almost two years. The decision to hold the group’s monthly meeting at the La Plata County Administrative Building was directly related to the Aug. 5 Gold King Mine spill that has drawn a renewed interest in the mine waste pollution occurring in the Upper Animas watershed. Peter Butler, one of the coordinators of the group, said it’s now important to weigh the risks of managing a one-time major blowout as opposed to continuous metal loading. He said the ARSG is aware of four other major blowouts in the last 20 years, but preventing such an event can become very complicated. Sites at risk can be hard to identify, because sometimes a mine entrance can appear stable, and a collapse can occur further back in the workings, triggering a blowout. In the aftermath of the Gold King spill, several departments compiled a preliminary “midnight list” for Gov. John Hickenlooper, identifying the most at-risk mine sites. Of the 230 potential risk sites statewide, 44 are located in the Upper Animas mining district. But even with those sites identified, the question then becomes what method do you use to prevent such an event, and how much money are you going to spend? Stakeholders also called into question whether efforts should be directed toward continual acid mine drainage, which has longer-lasting impacts on the environment. Doug Jamison with the Colorado Department of Public Health and Environment admitted he is in support of a Superfund, but he said the Environmental Protection Agency and the state health department are offering the designation as only a potential solution. As in past meetings, officials for the two agencies were unable to answer specific questions related to site boundaries, timelines and the promise of funding – stressing the need for more data. There was even more uncertainty about how exactly the decision to use Superfund is ultimately made. Governors usually request a Superfund through a written letter of request, but how local communities and organizations have a say spurred confusion. 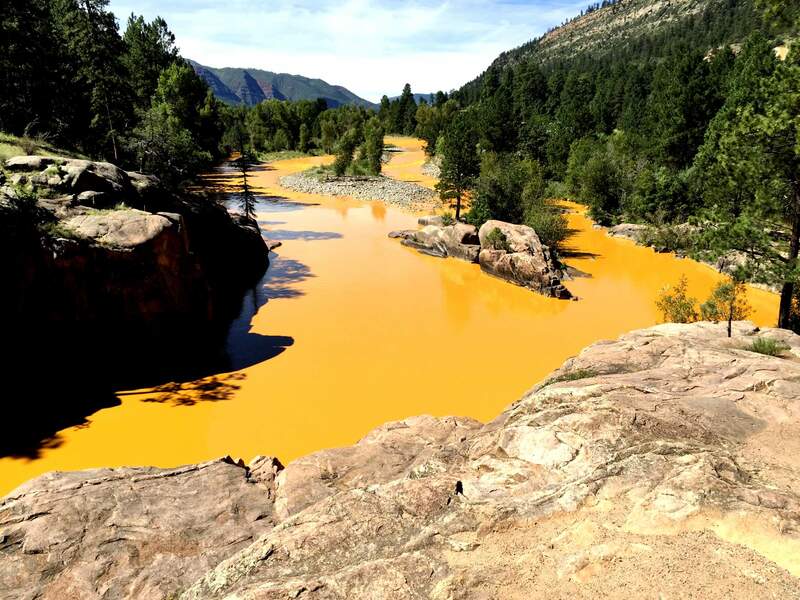 Only a little more than a month since the Gold King Mine discharged 3 million gallons of acid mine drainage, most communities have not reached a consensus on whether to choose a Superfund. Jamison said the community around the state’s most recent Superfund site, Colorado Smelter, took almost a year to decide. However, which communities will factor in to the decision for the Upper Animas mining district’s treatment is still unclear. Holding the ARSG meeting in Durango for the first time in two years is a sign that the mine pollution in the district extends beyond Silverton, but Jamison said out-of-state entities are not taken into consideration on a Superfund site, mostly because the mine drainage is diluted by the time the river passes Durango. That would exclude many downstream communities – including Farmington, the Navajo Nation, the Southern Ute Tribe and others further down the San Juan River into Lake Powell – that rely on the waterway from weighing in on the decision.